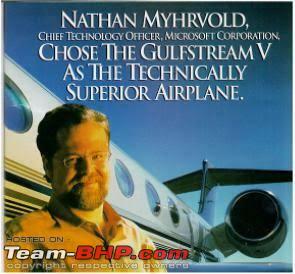 Just as we write the buying & ownership experiences of Marutis & Hyundais, an anonymous billionaire has written - exceptionally well - the full purchasing experience of his Gulfstream. To those of us who know nothing about jets, this is quite an entertaining + informative read. Grab your favourite snack & dive into this outstanding write-up . A Mercedes 600 Coupe lies at one end of a range that includes the Yugo, and yachts are the logical counterpart to humble dinghies. Private jets break this rule, and hence have a mystery and cachet that other luxuries do not. They have no downscale counterpart; they are exclusively in the realm of corporations, royalty, and the super-rich. It’s possible to spend as many millions on a house as on a jet, but the operating costs can’t compare. Houses just sit there; a jet needs a crew—chief pilot, co-pilot, and mechanic—and they need benefits and 401(k) plans. Hangars and insurance take their toll. Before you know it, you’re spending nearly half a million dollars a year without leaving the ground. Then you have the cost of actually flying! A jet can easily consume 3,000 pounds of fuel an hour, the equivalent of a 12-ounce can of Diet Coke every second. Fortunately, in bulk, jet fuel—essentially the same stuff as kerosene or diesel fuel—is actually cheaper than Diet Coke. All told, direct flying cost is about $2,500 per hour. Given the amount that I travel, I was looking at between $1.2 million and $1.5 million a year in operating costs alone. Fuel aside, most jets are powered by an even more exotic substance—other people’s money. The vast majority of private jets are owned by major corporations, which use them to whisk executives to and fro. I learned that every important part of a jet is inspected religiously, documented extensively, and then replaced long before age or wear could be a problem. Some get replaced on calendar time, some after a set number of takeoffs or landings, and others based on how many hours you have been in the air. These schedules are constantly refined, because every plane of the same model is turning in data all the time. If a part turns out to be wearing faster than expected, a bulletin is issued and everybody’s schedule is updated. In a sense, there are really no old planes. Most parts have been either recently replaced or certified as being in new condition. The F.A.A. has, statistically speaking, won the mechanical battle, which is why it is safe to buy a used plane. Pilot error is more likely to kill you than any equipment problem. Gulfstream is the Rolls-Royce of the air, quite literally, for the famous British company makes its jet engines. 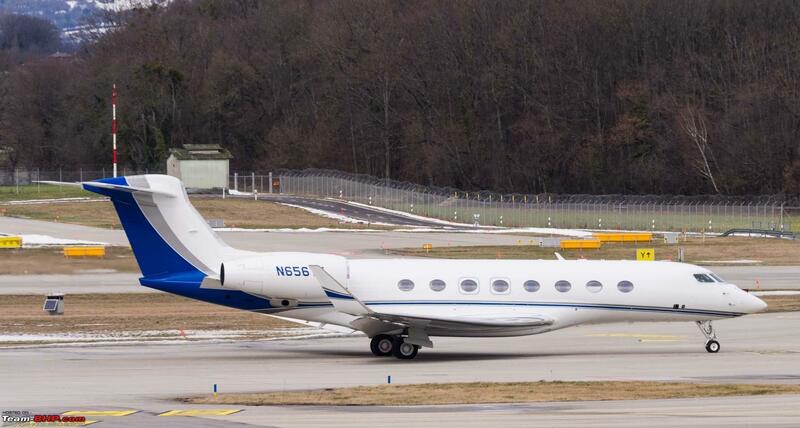 Gulfstreams are the jets of the Fortune 500—the top 10 companies on the list have one model or another in their fleet. They are the jets of the rich and famous as well. Oprah Winfrey has one. Robin Williams and Harrison Ford do, too, as will Arnold Schwarzenegger. In the 1920s and 30s, when a man wanted a fine automobile, he ordered the chassis from a manufacturer such as Packard or Duesenberg, then sought out a coach-maker such as LeBaron or Fisher to finish the car. The body and interior were a separate piece of work from the operating aspects of the car, a system that would be ludicrously inconvenient and expensive in this day and age. Over time, the coach-makers were absorbed by car companies. Today all that’s left of Fisher Body Works is a little logo in the doorjamb of old G.M. cars; acquired by Chrysler, LeBaron is the name of a now discontinued sedan. Amazingly enough, this practice still exists in the world of private jets. Last edited by GTO : 8th January 2019 at 08:15. Thread moved out from the Assembly Line! Fabulously written! Thanks for sharing. Loved the subtle humor in the article. The numbers in that article gave me multiple heart attacks. When I’m alone in the back on a long flight, I will sometimes look around and burst out laughing. FThe numbers in that article gave me multiple heart attacks. Imagine, those numbers are from 1998 (or even, sixteen months prior to that). All this is due jacked up prices courtsey aviation companies and manufacturers They are a cartel and operate pretty much like one. For example the sliding tray in the Airbus cockpit (a piece of plastic and metal) costs a mind boggling $12000!!. Now we can say, we don't really need the sliding tray to fly, but wait the aircraft can be dispatched with the tray secured in a closed and locked position, but if the tray is jammed in an open position, sorry the aircraft is grounded (flight safety implication). Airbus could have very well designed a tray which could be detached and stowed and attached when needed, no mechanical rollers, no mantainance and less damage, but how to sell more trays then? The above is a simplified version of the money making schemes that are built into mantainance and inspection. All this is due jacked up prices courtsey aviation companies and manufacturers They are a cartel and operate pretty much like one. The above is a simplified version of the money making schemes that are built into mantainance and inspection. Just looked up Airbus and Boeing financials. Both have annual gross margins hovering between 20 and 30%. That is insanely high, especially when most aircraft operators struggle to survive. Could this be due to the unusually long development cycle of one plane. It could take years, if not a decade, for deliveries to start from the time things start on the drawing board. Bombardier was on the verge of bankruptcy in 2015; a part Govt. bailout and asset sale helped the avoid it. Did a little digging with Google and found that it was Nathan Myhrvold who wrote this article. He was the CTO of Microsoft at the time of writing this piece. By the way - the line that made me laugh was "I guessed that the private-jet “market” would consist of either low-rent slimeballs, like most real-estate brokers, or high-rent, hired-gun slimeballs, like most investment bankers." Very interesting read. I for one have no problem with spending your own money on these sort of things. Very glad to see he is enjoying it immensely! I was a little puzzled on reading about the fax machine adapter only to realize later that this was written in 1998. On a related note, I think Japan still uses fax machines. Brilliant read. Thanks for sharing. Last edited by sandeepmohan : 10th January 2019 at 06:11. Here's the star of the piece. That 20 year old article was a fantastic read. I would imagine this buying experience would be somewhat similar to what our Maharajas had in the 20's and 30's when they bought their exotic cars. 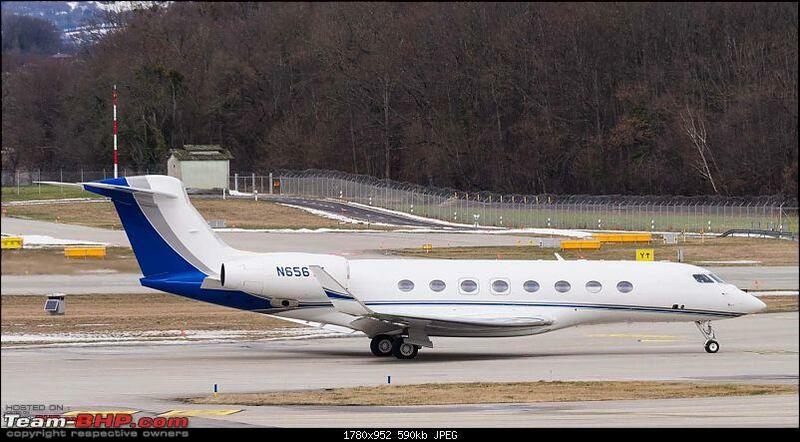 PS: Don't we have some members on the forum who own private jets? Wish they too would write an ownership review, complete with pictures. Excellent article. My friend and I were just discussing this. How private jets separate the big boys from the rest. Forget the price of the aircraft alone, just operating and maintenance costs a bombshell and even most supercar owners cannot afford nor have the need to own a private jet. The model mentioned is used in India by a few business houses. I believe Punj Lloyd owned it and sold it. Poonawalla, Birlas are some other names . Fantastic read, thanks a ton GTO for the link. Very witty article, entertaining to read. Once you move up the corporate ladder, after a certain point I think the entire world, perspective & priorities in life change & you think about things you normally wouldn't have before. The author has nicely penned his metamorphosis to an úber jet hopping elite, his occasional introspective moments of wonder in acceptance of his new life, doubt, self worth & maybe guilt (?) stemming from his humble beginnings. I think 50% of the private jet owners have bought them just for bragging rights & to burn wads of cash which otherwise would've laid dormant. I'm sure even for them, after the novelty wears off, it would be like just another purchase in their routine. Much like what the cars & bikes we ride nonchallantly seem, for the less privileged sections of society. True, money minting schemes may exist. However, we must also remember that aviation has the highest safety ratio (passengers flown to fatalities caused) of all modes of transport. This is due to the extensive, rigorous, comprehensive, detailed (assume all the thesaurus extracts) safety procedures which are mandatory for making the aircraft air worthy. Consider this, there are millions of components in an aircraft, & the margin of error is zero. Thus, the designing, manufacturing & testing of the same has to be equally rigorous, whose cost companies have to bear, & be in profit as well. Hence the seemingly jacket up prices. Last edited by superbad : 21st January 2019 at 10:51. A question that's always been on my mind : for a person considering buying a private jet - instead of buying and maintaining one - does flying business class 100% of the time on a regular airliner make more sense? I've seen the business class cabin on the newer aircraft like the A380s and it blows my mind on seeing the luxury and space on offer. I remember reading somewhere that having a private jet means no queues at the airport, customs clearance can be done in the plane itself after landing etc - are these timesavers the real reason the top tier elites prefer them? Or are they just a spending statement to announce to the world that they have "arrived"? IMO, the bigger problem is that commercials fly on a schedule. And you cant just take off once your work is wrapped up.